Atlantic Ocean Seismic Exploration Concerns Conservationists – Neptune 911! WASHINGTON — Oil and gas companies hoping to drill in the Atlantic Ocean will have to contend with a new federal proposal to declare waters off the Carolinas and Georgia as critical for endangered whales. The National Oceanic and Atmospheric Administration is proposing a huge expansion in the critical habitat area for endangered North Atlantic right whales. The new area would include coastal waters from Georgia to Cape Fear, N.C. The proposal comes as nine companies have applied to use seismic cannons to start exploring for oil and gas in the Atlantic, including in areas that would be deemed critical habitat for the endangered whales. Claire Douglass, a campaign director for the environmental group Oceana, called the new critical habitat proposal a potential “game changer” for her group’s attempt to block the seismic exploration program. “These seismic air guns are extremely dangerous and can harm the ability of marine mammals to hear, feed and survive,” she said. The American Petroleum Institute, the oil and gas industry’s main lobbying group, said it was reviewing the critical habitat proposal. Brian Straessle, a spokesman for the group, said it was a myth that the seismic surveys were harmful to the whales. The federal Bureau of Ocean Energy Management approved the seismic blasting plan for the Atlantic, saying there “has been no documented scientific evidence” that the tests harm marine mammals. But scientists, including Doug Nowacek, an associate professor of conservation technology at the Duke University Marine Lab in Beaufort, N.C., argue that there is indeed a risk and not nearly enough research to declare the booms harmless. NOAA is taking public comments on the proposed new habitat area. The current critical habitat area for North Atlantic right whales is just a narrow stretch from northern Florida to southern Georgia, along with two areas near Massachusetts’ Cape Cod. There are only about 450 of the whales, and they’re “critically endangered,” according to NOAA. The proposal, spurred by a court order after conservation groups petitioned to protect the whales, would create a greatly expanded Southeast critical habitat area up to North Carolina, covering what NOAA found to be areas where the whales give birth. The critical habitat would stretch dozens of miles from the coast, almost to the 50-mile boundary off the Carolinas and Georgia that the Obama administration proposes to open to oil and gas leasing. North Carolina Gov. Pat McCrory is considering making a push to allow drilling closer to the coast. 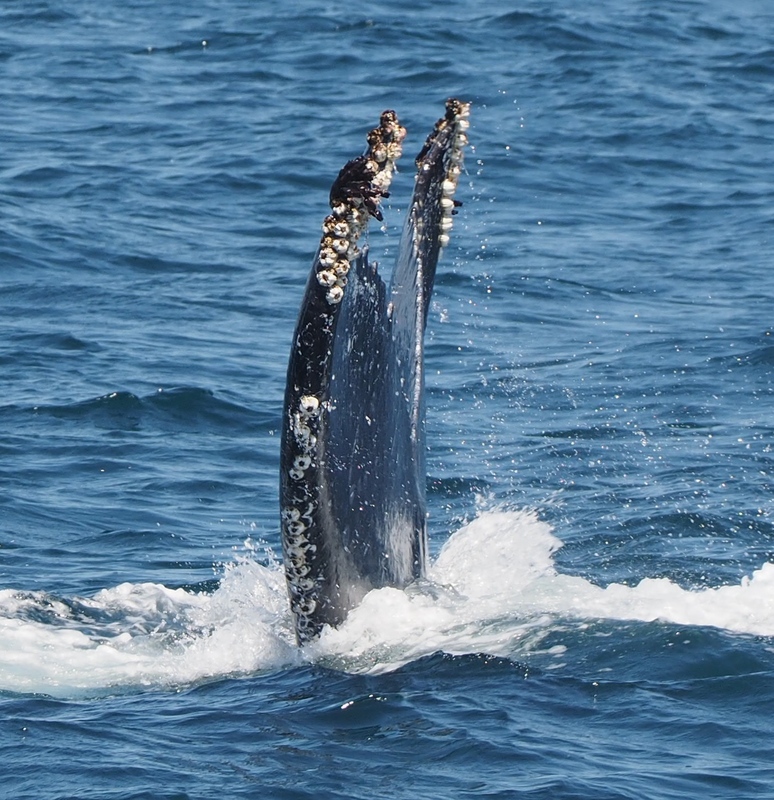 NOAA is also proposing a separate enlarged critical habitat area for the whales off the coasts of Massachusetts, New Hampshire and Maine, considered to be important feeding areas. If the habitat proposal is finalized, companies that want to explore for energy must show that the activities wouldn’t harm the critical habitat or the whales. The Bureau of Ocean Energy Management would then have to consult with NOAA to see whether its scientists agree. “We would make a determination about whether we felt that activity causes harm or jeopardizes that critical habitat or the species itself,” said Dave Gouveia, NOAA marine mammal supervisor. Gouveia said NOAA would seek to ensure that the area kept the calm sea surfaces, temperatures and water depths needed to support calving of the whales. “The North Atlantic right whale is one of the most endangered whales to inhabit our coastal waters, and while we are making progress in helping this species recover, it still faces numerous threats to its survival,” said Eileen Sobeck, assistant NOAA administrator for fisheries.